Are You A Sneak Reader? The ultimate goal of any enlightened program of reading instruction must be the development in each student of a self-determined habit of lifelong daily reading. That’s because this completely personal disposition paves the way to joyful lifelong inquiry and learning—the ultimate goal of a good education. Right? Sadly, at least not in many schools that consider themselves good. Unfortunately, most Americans don’t achieve that goal. The evidence that fewer than half of the children served by our nation’s schools actually become lifelong learners shines the light on a huge population of diploma-holding adults who are finished using books the day they walk out their high schools’ doors for the last time. Now, this doesn’t have to be the case, of course. It just IS the case. Many K-12 school curriculum standards identify things like “grade level reading” as the ultimate success. Standardized tests measure whether children can read, but NOT whether they DO! And unfortunately, what gets measured gets taught. 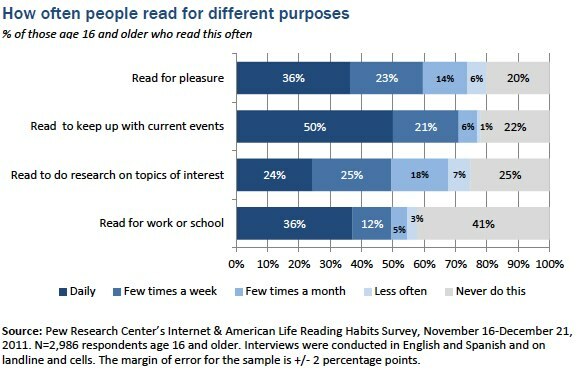 Since individual love of reading typically doesn’t get measured on school assessments, children aren’t eagerly led to develop a love of books…at least not with the same verve as selecting the professionally agreed upon, impersonal “meaning” of some random passage of text. 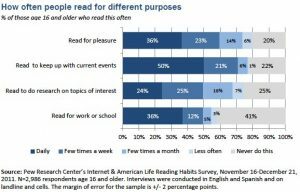 The critical development of personal reading agendas and the commitment to spend time each day in its personal fulfillment gets passing attention. 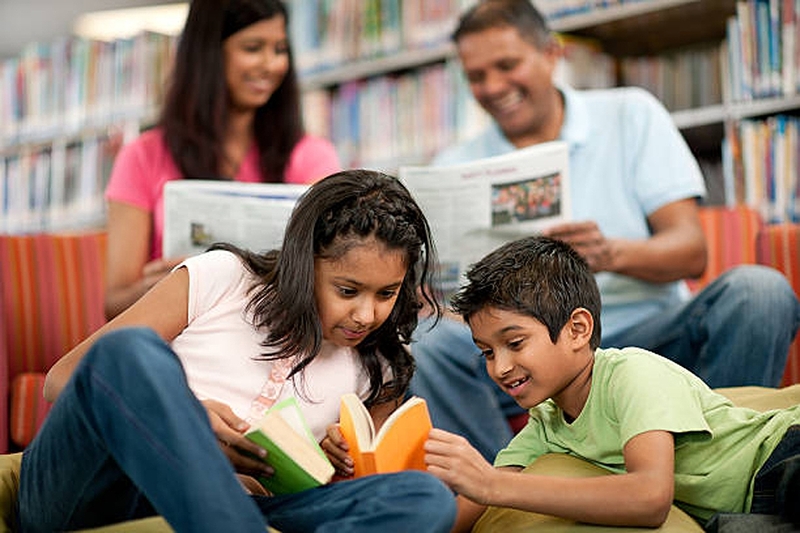 Becoming emotionally immersed in fiction genres or engaging in a pursuit of a heartfelt personal inquiry in the vast ocean of non-fiction books is left to chance by the education system. Without this vision championed by school board policy makers, education leaders and school administrators, the teaching artistry for leading each child to the threshold of a totally unique life of reading and learning is lost. Low-bar, skill-focused policies have led us to decades of stagnation in reading achievement for ignoring what happens after graduation…or dropping out. So, now what? Are we left with this reality? Thankfully not, because there is another learning context—the home and family. This earlier starting and longer lasting avenue to lifelong, gleeful reading and learning is a natural alternative to institutionalized education. Children who are raised in homes with an active culture of reading begin engaging with books at birth, not age 5. These homes supply children with library books, along with models of parent readers who provide the support and love needed for them to spend five comfortably paced years to find their reading groove before Kindergarten. Kids from families who read learn to read easily and rapidly before and in Grade 1 because they want to, desperately. As an illustration, look closely at the image to the right. This little girl in the photo is 3. 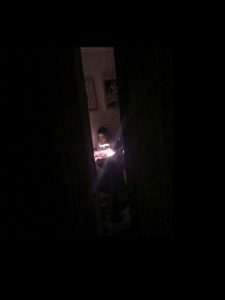 Her parents saw light coming from her darkened room and when they peaked in, they found her “sneak reading” books by flashlight. She’s 3! So young, but already choosing to read by herself because her parents have established that books are valuable and fun. If the culture of reading in her home stays strong, she could exit formal education intellectually unstoppable, almost regardless of her school experience. The bottom line, indeed the magical formula for growing lifelong readers and learners, is that teachers plus family are unbeatable.